A guestbook is a funny old thing. 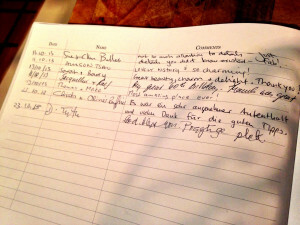 You go back into it every few months and fondly remember the guests who stayed and remembered to fill in the guestbook. Some leave a message very quietly and you get a pleasant surprise because the kind sentence is just there while others leave their message when they are settled up and on their mission to the next destination. 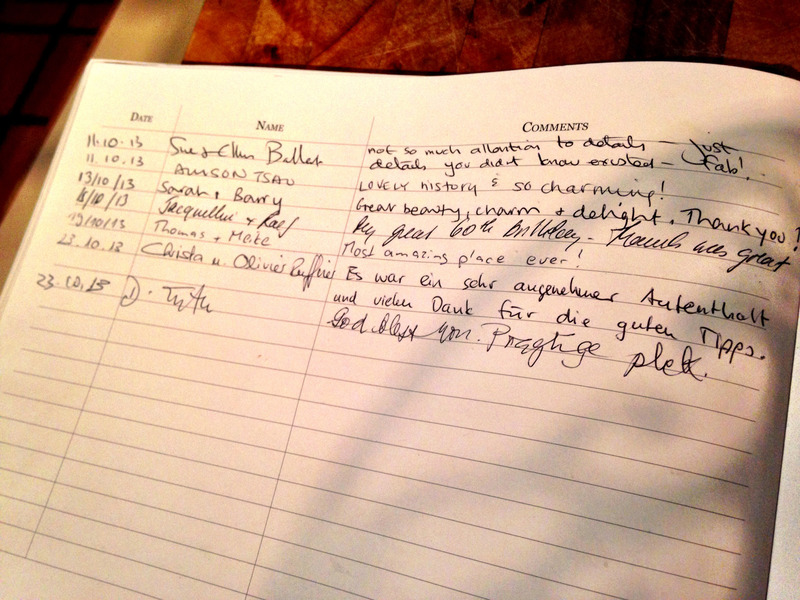 And once in a while you have a really special entry like the one made by Archbishop Tutu on his visit to Swellendam. It is special because he is a busy man, in sensitive health, and yet he took time to sign his name, give us a blessing and paid us a little compliment. We think Arch is much more than all the things we already know him to be: he is a gentleman.